Stay awesome! Block printed by hand on recycled paper. Narwhal’s are seriously awesome small whales that grow their left canines into a long tusk. Is there a better animal to illustrate awesomeness? 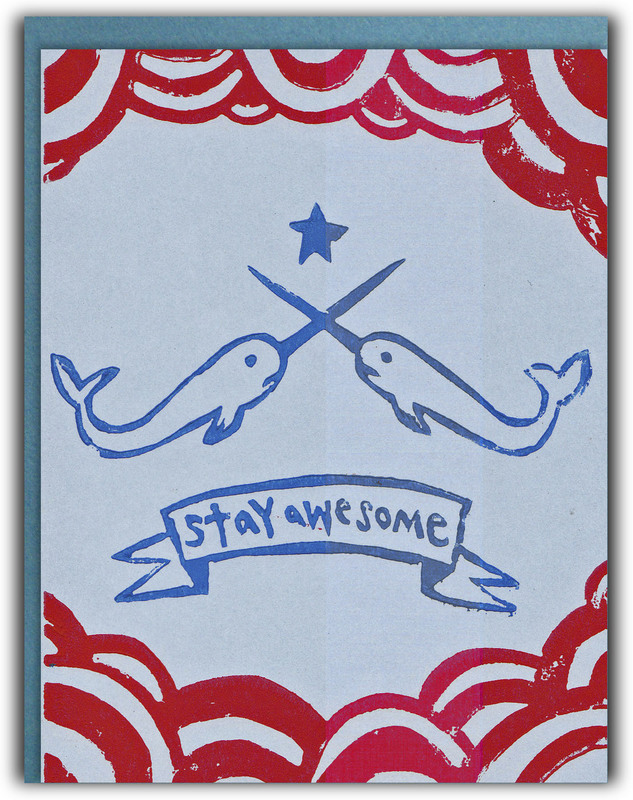 Narwhal power greeting card is 5.5″ x 4.25″, envelope 5.75″ x 4.375″. Greeting card interior is blank. Block printed by hand on recycled paper.